The index opened up but was unable to sustain the highs and closed weak at 8706.40, loss of 16.65 points. The broader market was weak with 687 advances to 928 declines. Range stays at 8500-9000. Call option 8600-8800 added 8.31 lacs OI with profit booking at 8900 and above strike prices. 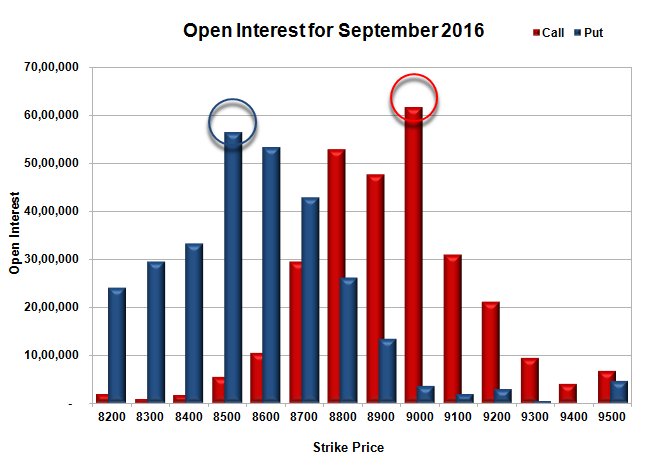 Put option 8600 added 1.73 lacs OI with short covering at 8800 and above strike prices. Nifty Open Interest is at 2,05,95,825 down by 43,96,050, whereas Oct series added 49.83 lacs with decrease in price, 100% roll-over with some short build-up. Bank Nifty Open Interest is at 17,91,160 down by 1,49,920, whereas Oct series added 2.64 lacs with decrease in price, 100% roll-over with some short build-up. FII’s sold 6185 contracts of Index Futures, which includes net 9050 contracts long build-up and 15235 contracts short build-up, with increase in net OI by 24285 contracts, includes 127265 longs to 133450 shorts for the day. FII’s Index future open contract as on date is 391627 Longs to 85964 Shorts, Net long 305663 contracts. 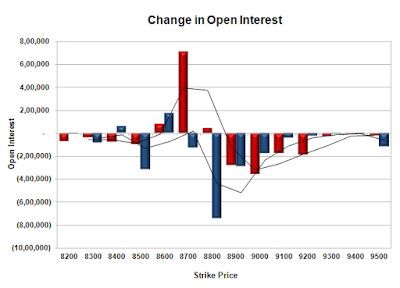 Initial support stays at 8700, with OI of 42.81 lacs and below that at 8600 with OI of 53.33 lacs. 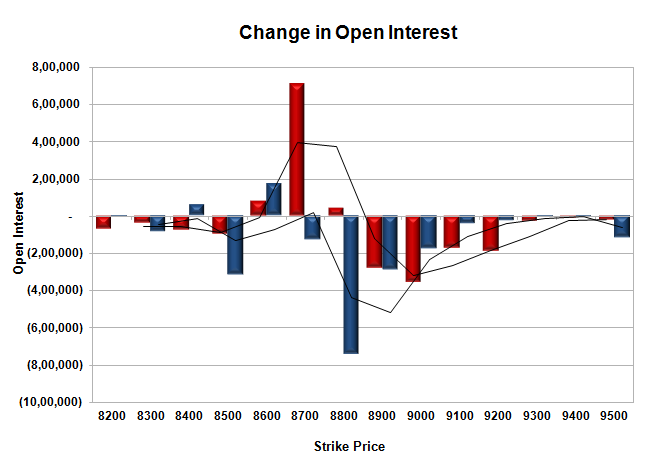 Initial resistance at 8800, with OI of 52.91 lacs and above that at 8900 with OI of 47.71 lacs. 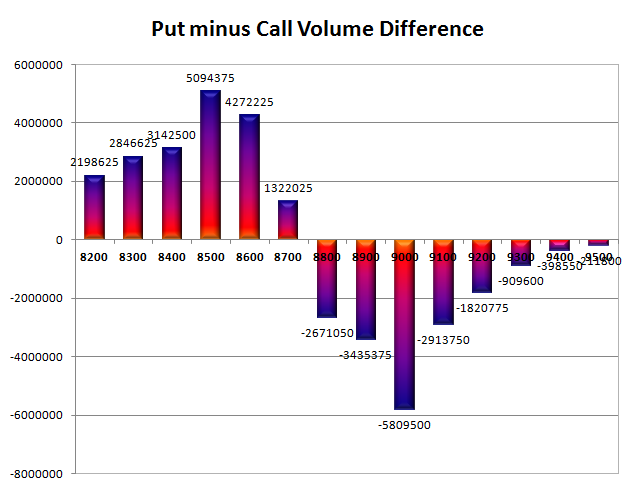 Day Range as per Option Table is 8657 - 8779 and as per VIX is 8641 - 8771 with 8722 as the Pivot.